FREE PATTERN: Memento…. & etc! Hello Friends, I hope you are doing well. Thank you for stopping by again. It’s been a really happening summer at my end. I am not complaining, and am doing well! I am working on quite a few things that I can’t quite share in full. Meanwhile, I haven’t quite been able to take pictures of my recently returned magazine quilts. We have gotten quite a bit of rain in our area — and it’s made taking my usual outdoor photo shoots of my quilts a bit more challenging! I keep hoping the weather would line up with my schedule!! So, here are a couple of quick pictures to show you what are now official! 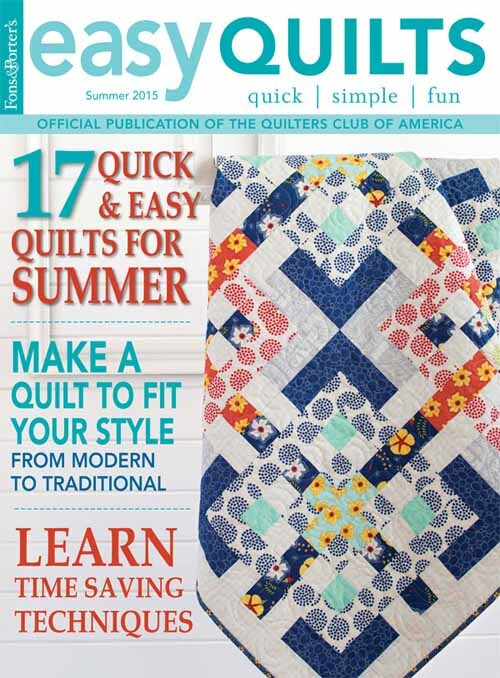 My All In Knots quilt made cover of Fons and Porter’s Easy Quilts Summer 2015 Issue. My Cozy Town quilt is featured in McCall’s Quilting July/August 2015 Issue – on newsstands right now! More pictures and details of these quilts are forthcoming – I promise!! Meanwhile, I feel Christmas in July is in the air! How about a free-to-use pattern using Hoffman’s Memento Collection – in gold and silver colorways? The Memento fabrics reflect the traditional and Victorian feel of Christmas — I love, love, love! Click here to view Hoffman’s Memento Fabrics. Click here to download pattern instructions. So tell me – what Christmas color scheme are you — traditional, fun, novelty, funky etc? Thank you for stopping by, Friends! I hope you are enjoying your week! It is back to work for me…. HUGS to you all! 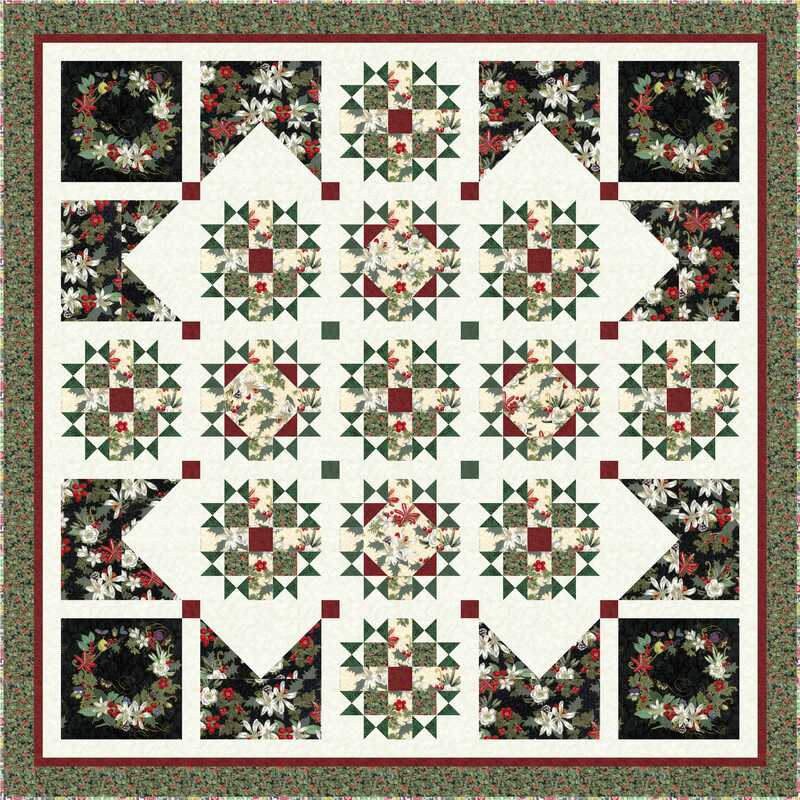 This entry was posted in Quilt Pattern, Quilting, Quilts & Projects: Published, Quilts: Pieced and tagged Christmas Quilt Pattern, Free Christmas Quilt Pattern, Hoffman Memento Free Quilt Pattern, Quilting, Wendy Sheppard Designs. Bookmark the permalink. 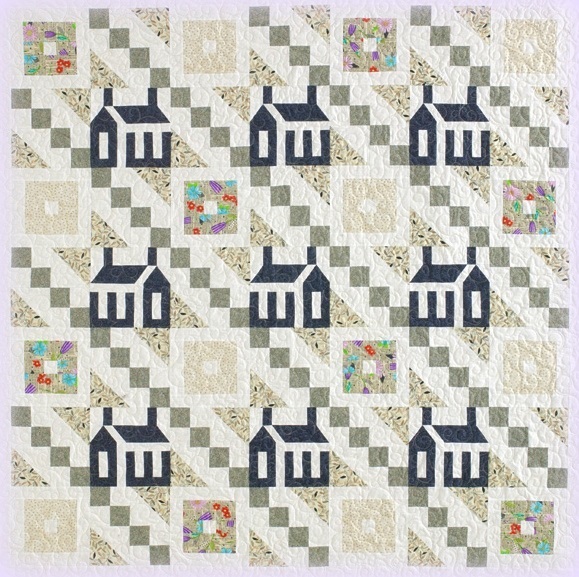 I have long wanted to stitch a house quilt. Maybe this will be the one as I am a subscriber to McCall’s magazine so I do have the fun pattern. I love the Memento quilt. It is a beauty, the fabrics are lovely, pattern and fabrics are a perfect match. Love how you inspire us, Wendy! 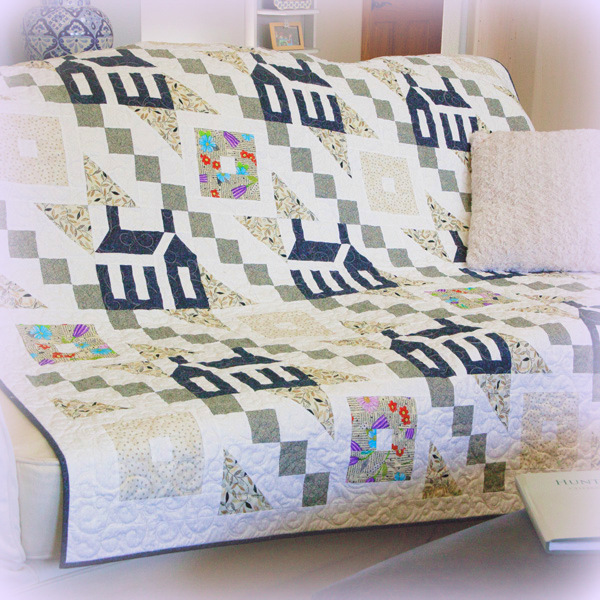 All the quilts are beautiful…especially Memento….thank you for the great Christmas present. I downloaded and printed the pattern (as usual). It’s so pretty and looks so difficult until I analyzed the components. 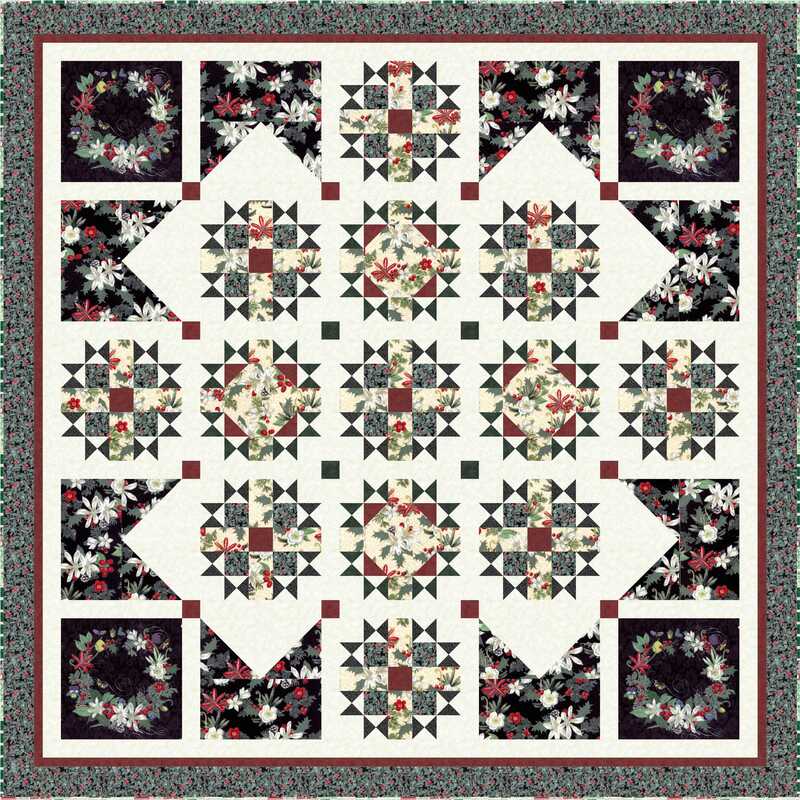 It takes real talent and artistic eye to use 9-patch and snowball building blocks to create something as intricate looking and lovely as that quilt. Give yourself a pat on the back. As I am trying to use up my stash…sometimes the reality of “I won’t live forever (here anyway)…and not buy more fabric I will use those other than this gorgeous Hoffman line. Have a blessed day….one without rain! p.s. We’ve been waterlogged here too for several weeks…but our gardens really needed it so I can’t complain.